Mamonde's brand ambassador and popular Korean actress, Park Shin Hye arrived in Malaysia to officially launch Mamonde Flower Day. Mamonde Flower Day is celebrated to inspire us to show love and appreciation to those we love and admire with the gift of a flower. It is also a day dedicated to admiring the beauty around us, be it the beauty of people or the beauty of Mother Nature. Arriving in Malaysia for the first time, Park Shin Hye greeted fans and exchanged flowers with Mamonde's management staff as a gesture of appreciation and love for welcoming her to the launch of Mamonde Flower Day. Themed around Mamonde's flower of the month - the Hibiscus, the LG, Oval Concurse of 1 Utama Shopping Centre is transformed into a flower garden with Hibiscus as the main highlight amidst Mamonde's other four key flowers i.e. the Honeysuckle, Narcissus, Lotus and Camellia. The event was a fun-filled affair featuring a myriad of activities and flower attractions. Participants at the event were treated to game stations such as the Flower Dice and Cotton Candy, photobooth, 5 Key Flowers activity booths and a contest with a chance to win prizes. 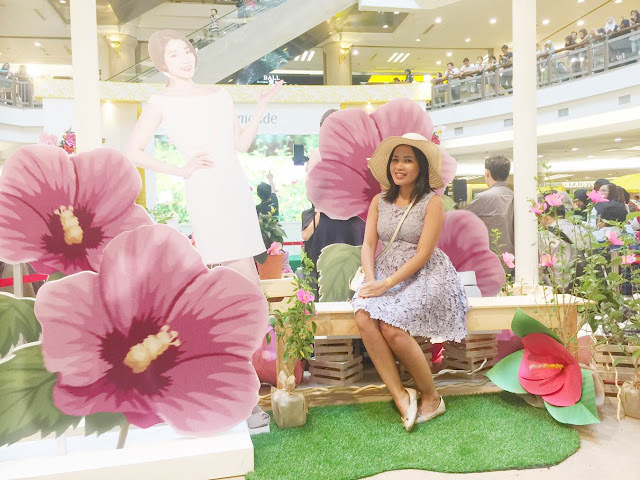 At the Mamonde Flower Garden, the public was given an opportunity to experience of Mamonde's Five Key Flowers while enjoying special sets and gifts with purchase. "The Mamonde Flower Day is a significant event for the brand as we wish to instill among Malaysians an appreciation for flowers as a symbol of love and gratitude towards nature and mankind. We are truly honored to have Park Shin Hye grace our event as she personifies the true beauty of a flower and what Mamonde stands for," said Celine Diong, Brand General Manager of Mamonde Malaysia. 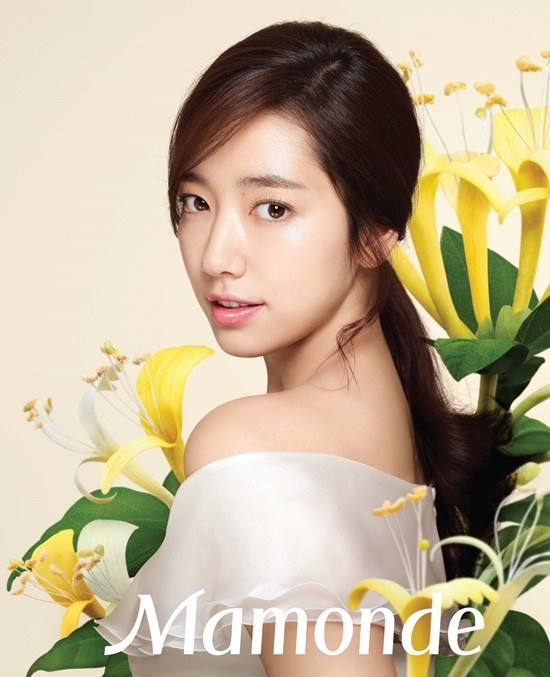 Park Shin Hye was appointed as Mamonde's brand ambassador in 2014. She began her acting debut in 2003 in the Korean drama Stairway to Heaven. In 2006, she starred in the South Korean-Japanese series Tree of Heaven and later received acclaim for her leading roles in the television dramas You're Beautiful (2009), Heartstrings (2011), Flower Boys Next Door (2013), The Heirs (2013), Pinocchio (2014-2015) and Doctors (2016). In 2015, Park was included in Forbes Korea list of "40 Most Powerful Celebrities" in Korea. Since its launch, Mamonde has transformed women through the amazing benefits and energy of flowers. Years of research by Mamonde have revealed the moisturizing and skin-nourishing ingredients of flowers which have helped women radiate with blossoming beauty. Mamonde Flower Day will be a yearly celebration of love and appreciation by Mamonde in the month of October, which coincides with Mamonde's introduction in Korea in October 1991. Apart from celebrating Mamonde Flower Day, Mamonde also launched two new addition to its Moisture Ceramide range which was an inspiration from the Hibiscus flower - the Moisture Ceramide Skin Softener and Moisture Ceramide Emulsion. Utilizing the powerful moisturizing substance of the Hibiscus flower, the Moisture Ceramide range is formulated with the exclusive Hibiscus Ceramide Plus ingredient to give the skin a completely moist skin barrier. The moisturizing ingredients found in the Hibiscus are thoroughly filled into the empty spots in dead skin cell layers. On the other hand, the high-content ceramide which was exclusively developed for 20 years tightly packs loosened dead skin cells. The Mamonde Moisture Ceramide Range contains the natural moisturizing agent found in Hibiscus and ceramide that are similar to skin components which keeps the skin feeling well moisturized and healthy. The range contains the following benefits. Exclusively Developed Hibiscus Ceramide Plus which contains essential ingredients to strengthen cellular walls. Similar to the skin's structure, it has a binding effect which adheres and absorbs upon contact with the skin. Fortifies the skin's moisturizing walls to regenerate the skin daily. Exfoliates dead skin cells and maintains a smooth texture to give the skin a glossy finish, making it easy to blend makeup. Naturally derived and safe ingredients to offer long-lasting comfort and moisturizing effects to the skin.